Our stress and dietary choices can cause liver cancer. If you fix these things, you may have a higher chance of reversing liver cancer. ​In this video, you're going to learn about the purpose of the liver. After that, I'm going to talk about liver cancer and why we get it. So let's start. The liver is the largest internal organ that sits on the right side of the belly. It weighs about 3 pounds and has a reddish-brown color. The liver's main job is to filter the blood coming from the digestive tract, before passing it to the rest of the body. The liver makes many of the chemicals required by the body to function well. It also manufactures cholesterol and triglycerides. Another function of this organ is to convert glucose in carbohydrates into glycogen. The liver also stocks vitamins and chemicals that the body needs. Hepatocytes are the primary cells of the liver. They are responsible for making many of the proteins in the body. These cells also play a vital role in your metabolism and detoxification. The liver also makes bile. Bile is a greenish-brown liquid primarily made of cholesterol, bile salts, and bilirubin. It aids digestion by breaking down fats into fatty acids that the digestive tract can absorb. The gallbladder is a small pouch that sits just under the liver. It stores bile produced by the liver. The gallbladder is about the size of a small pear and is full of bile before you eat. It squeezes stored bile into the small intestine through a series of tubes called ducts. After meals, the gallbladder is empty and flat, like a deflated balloon. So now that you know what the liver does let's explore what liver cancer is. Liver cancer begins in the cells of your liver. Several types of cancer can form in the liver. Primary liver cancer, which starts in the liver, accounts for about 2% of cancers in the U.S. The most common type of liver cancer is hepatocellular carcinoma.It begins in hepatocyte cells, the primary liver cell. Other liver cancers form in the bile ducts. ​Primary liver cancer​ accounts for about 2% of cancers in the U.S.
​So let’s learn the real causes of liver cancer. One of the reasons why we get cancer is because of stress and emotional trauma. How one reacts to stress appears to be a major factor in the development of cancer. 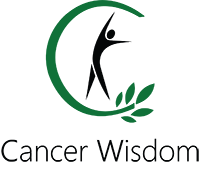 Suppressed anger is the most common trait in cancer patients. ​Cancer patients often felt rejected by one or both parents.Therefore they have a tremendous need for approval and acceptance. Because of their emotional wounds, they are more sensitive to stress. Our thoughts and emotions have a powerful effect on our health. Everything in the universe is energy vibrating at different frequencies. Even our thoughts and emotions have certain frequencies. That is why they can alter the body which is also energy. The German doctor Ryke Geerd Hamer found the link between our emotional trauma and cancer. He worked at a cancer clinic in Munich in Germany. Therefore he could ask cancer patients questions about their emotional ordeal. All his patients experienced different, unexpected conflict shocks before their cancer diagnosis. Dr. Hamer obtained brain scans, of all his cancer patients. He discovered that different areas of the brain controlled various organs and glands. Every cancer has a distinct conflict shock. A conflict shock is a traumatic experience that we couldn't expect. When we experience emotional trauma, it activates a particular biological program. A biological program helps the organ resolve the conflict. Animals also suffer from biological conflicts. They experience them when someone attacks them, or they lose their territory. Our body can't see the difference between a thought and a real situation. Therefore these programs may activate when you think about a problem. The subconscious mind analyzes the situation and then decides what program to run. The symptoms reveal how it deciphers the situation. Our past experiences, social conditioning, values, and beliefs, affect the interpretation. At the moment of the trauma, the conflict shock impacts a specific, predetermined area in the brain. On a brain CT scan, you can see the impact visible as concentric rings. 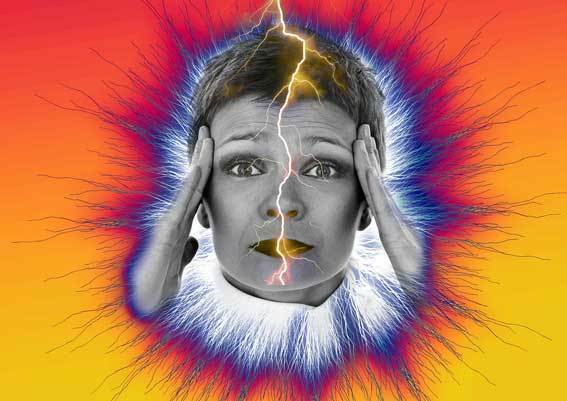 ​Find out why stress may cause muscle pain. Click here to read more. German New Medicine calls them Hamer Herds. Hamer also learned that diseases run in two phases. We have the active conflict phase that activates the moment we have the shock. And at the moment we resolve that conflict, we enter the healing stage. So this is what Hamer discovered about liver cancer. I’ll first talk about Hepatocellular carcinoma. And then I’m going to talk about cancer in the bile ducts. Hepatocellular carcinoma starts in the liver parenchyma. The liver parenchyma forms the bulk of the liver. It consists of hepatocytes, which are the prime functional cells of the liver. The biological conflict linked to the liver parenchyma is a starvation conflict. A person can suffer a starvation conflict when there is a lack of food. You can also experience this shock when you're on a restrictive diet and can't eat your favorite food. Another reason for this trauma can be because of a colon cancer diagnosis. ​A threat of starvation could also be because of not being able to make ends meet. ​​The conflict shock has to do with the distress of not having resources to feed oneself or others. During the conflict-active phase, liver cells grow to the intensity of the conflict. The biological purpose of the cell increase is to improve the function of the liver. Learn ​how childhood trauma leads to cancer. Click here to read more. In this way, it can digest food better. Liver nodules develop as a result of the continuing cell growth. After the conflict resolution fungi or bacteria remove, the cells no longer needed. Healing symptoms may include pain due to the swelling of the liver and night sweats. Cancer can also form in the bile ducts. The bile ducts branch through the liver and join the gallbladder to form the common bile duct. The biological conflict linked to the bile duct is a male territorial anger conflict. It can also be a female identity conflict. ​​This conflict is a decision struggle, or not knowing what choice to make, or where to go. The biological purpose of the program in the bile ducts is to widen them. This process leads to better digestion and more energy to resolve the conflict. Healing symptoms are swelling due to fluid accumulation and abdominal pain. Another reason for liver cancer can be because of gallstones. Your body encloses poisons in cholesterol and stores it in the liver duct as gallstones. If it didn’t do that, then these toxins would cause bigger problems. While these stones protect you from a big disaster, they also obstruct the liver. At one point they will affect the health of the body and cause serious diseases. Patients with cancer and other chronic illnesses have more stones than healthy individuals. 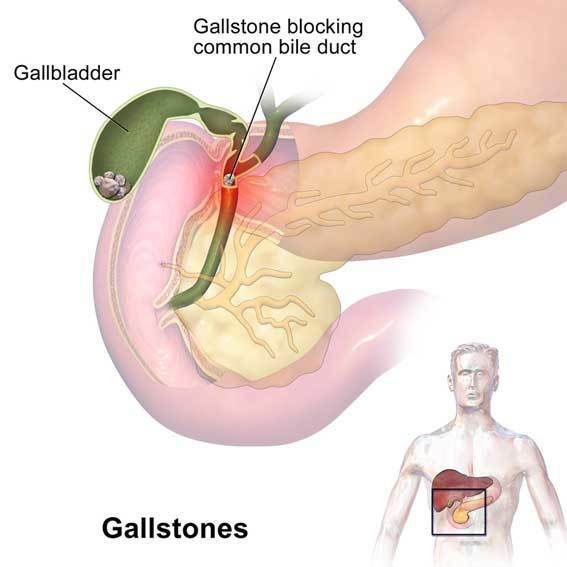 Gallstones form in both the liver’s bile ducts and the gallbladder. Most stones start in the liver, and few occur in the gallbladder. Gallstones are soft or hard stones that only form in gall. They consist of cholesterol, salt, or bilirubin. Gallstones range in size. Some can be as small as a grain of sand or as large as an apricot. 80% of gallstones are cholesterol. The other 20% consists of calcium salts and bilirubin. Gallstones may contain bile salts, water, mucus, toxins, bacteria, and sometimes, dead parasites. Calcified gallstones in the gallbladder are for the most part made of calcified bilirubin. They can be light brown or black or other colors. Brown stones contain more cholesterol and calcium than black stones.There are many different reasons why gallstones form in the body. The most common cause is our bad eating habits. Food high in cholesterol is the primary culprit for the development of gallstones. These foods include animal products like red meats, poultry, fish, and dairy products. Humans can't digest meat and dairy properly. We're in fact plant-eaters. The human intestine is long and coiled, much like that of apes, cows, and horses. Our digestion is slow and allows time to break down and absorb the nutrients from plants. The intestine of a carnivore, like a cat, is short, straight, and tubular. A carnivore's liver has an unlimited capacity to process cholesterol. Humans, like other plant-eating animals, have organs with limited capabilities for cholesterol removal. We have evolved on plant foods and never required a cholesterol-eliminating system. ​Discover ​why humans shouldn't eat animal products. Click here to read more. Medicines, drugs, and birth control pills also increase the risk of developing gallstones. Pharmaceutical drugs are taxing for the liver. All pharmaceutical drugs suppress the natural functions of the body. They don't heal the underlying cause of the disease. Instead, drugs make the liver work on overdrive to remove the poisons from the body. A stressful lifestyle can alter the natural flora of the bile and create gallstones in the liver. Severe stress affects the digestive system and the flow of digestive juices. Undigested food wrecks the liver and gallbladder and other organs. You can cleanse your liver with The Liver And Gallbladder Cleanse. Learn ​more about The Liver & Gallbladder Cleanse. Click here to read more. It is a natural method of removing gallstones from the liver. You can do the cleanse from your home without any side effects if you follow the protocol to the letter. Alcohol use can cause several types of cancer including liver cancer. When you drink alcohol, the liver has to remove the poisons from the body. Regular, heavy alcohol use can damage the liver, leading to inflammation and scarring. 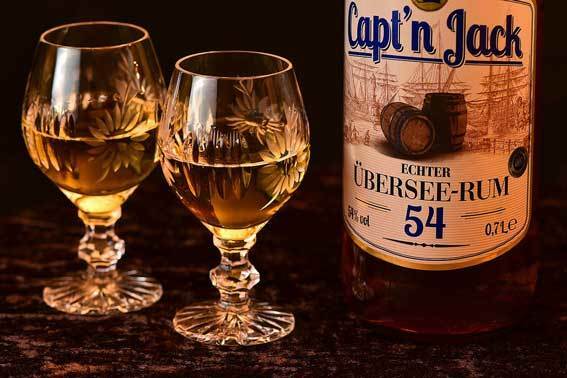 ​Alcohol use may cause liver cancer. The liver detoxifies the body, creates bile, helps the digestion and much more. Liver cancer begins in hepatocyte cells and the bile ducts. Every cancer has a distinct conflict shock that activates a particular biological program. The biological conflict linked to hepatocellular carcinoma is a starvation conflict. Bile duct cancer is a male territorial anger conflict or a female identity conflict. Gallstones and alcohol abuse may also cause liver cancer. ​In this video you learned about liver cancer causes. If you want to reverse liver cancer you need to address your emotional trauma first. Also, do The Liver And Gallbladder Cleanse to fix this problem. ​You should also stop drinking alcohol ​and avoid animal products.